I saw this idea on Pinterest quite a while ago and loved it. I finally made it and it was pretty easy. The supplies were minimal and it was inexpensive to make. Plus, I love how simple but elegant it is. 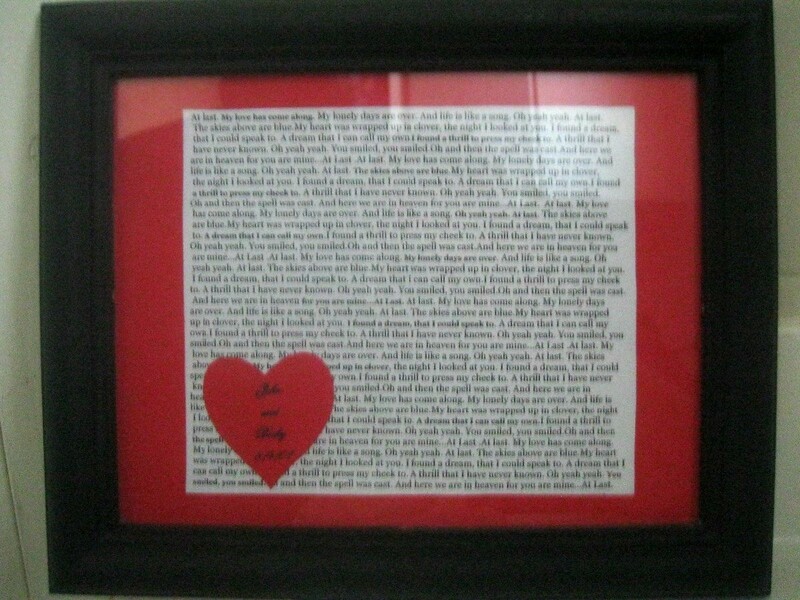 I think this would make a great gift for someone's anniversary or a post-wedding gift. Source: Pinterest- I have a picture but can't find a link to any instructions. 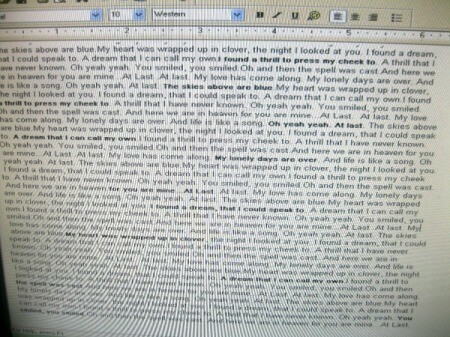 Find your song lyrics online. Our's was "At Last" by Etta James. 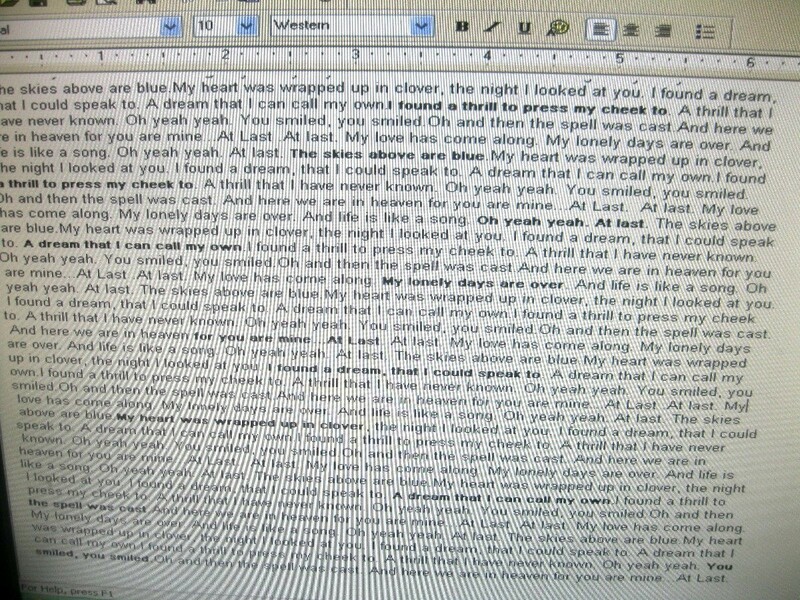 I just copied and pasted the lyrics into Word. 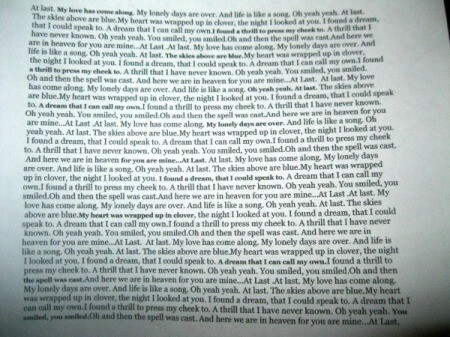 Then I copied and pasted some more til I had a whole page-worth of lyrics. 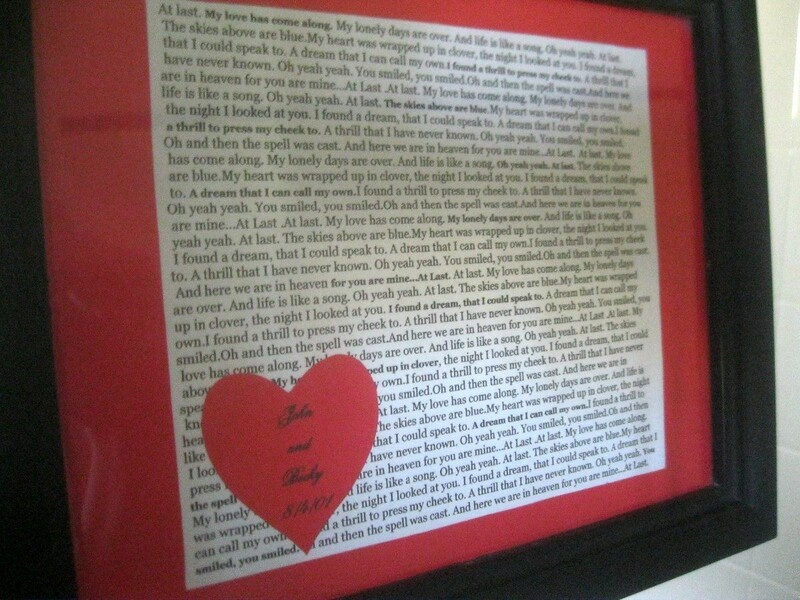 Alternately, you could hand write the lyrics. Either way would look beautiful. I put some lyrics in bold, here and there, just to make them stand out and give the picture some visual interest. 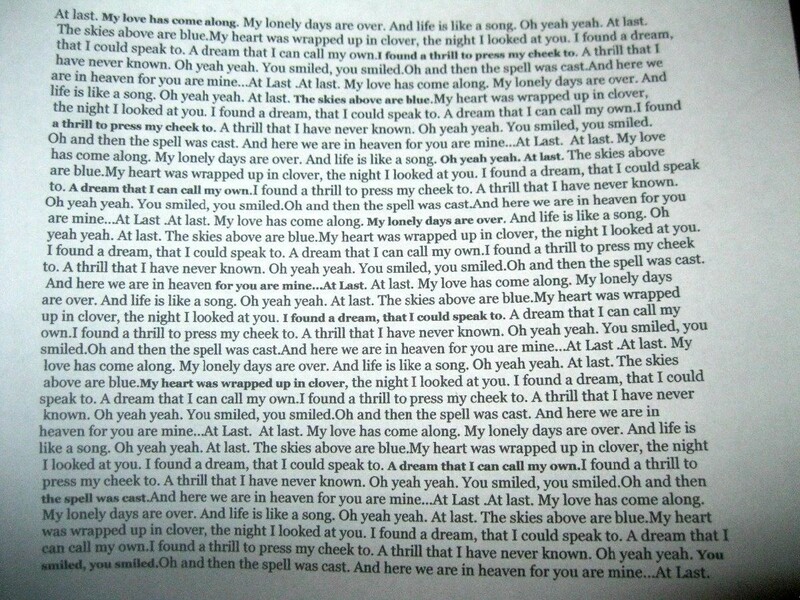 Print out the lyrics. 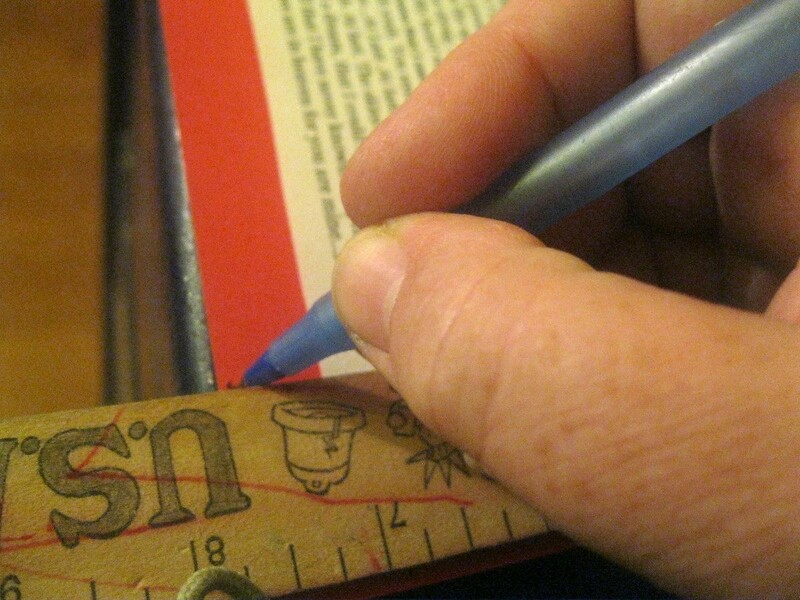 Cut about 1 inch around the perimeter of your words. 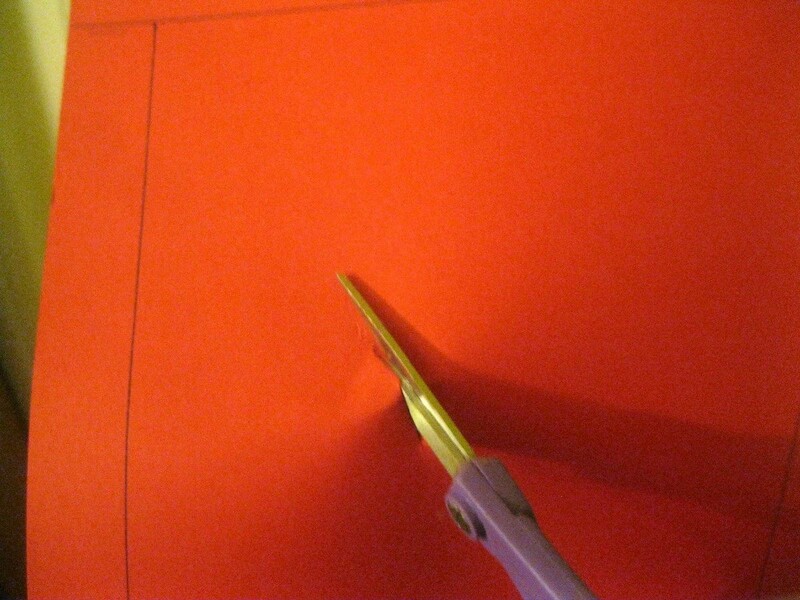 Take your red card stock (or whatever color you want to use) and cut it the size of your frame. The best way is to take out the cardboard liner and trace around that and cut. Now, to mat the picture! 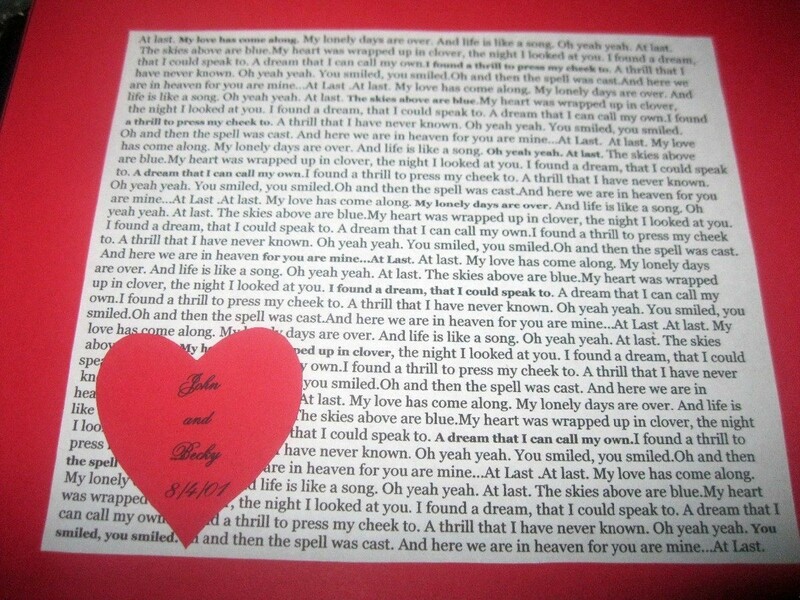 I lay my paper over the cardstock. 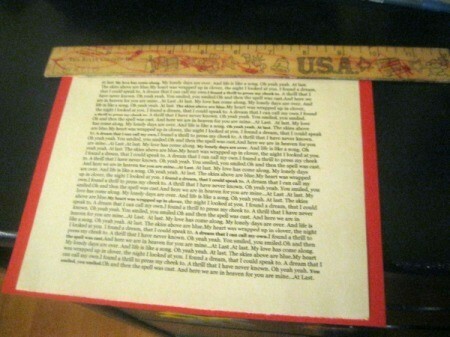 Then take a ruler and line it up about 1/2 an inch away from the words. Don't use the ruler to make a line across the paper. 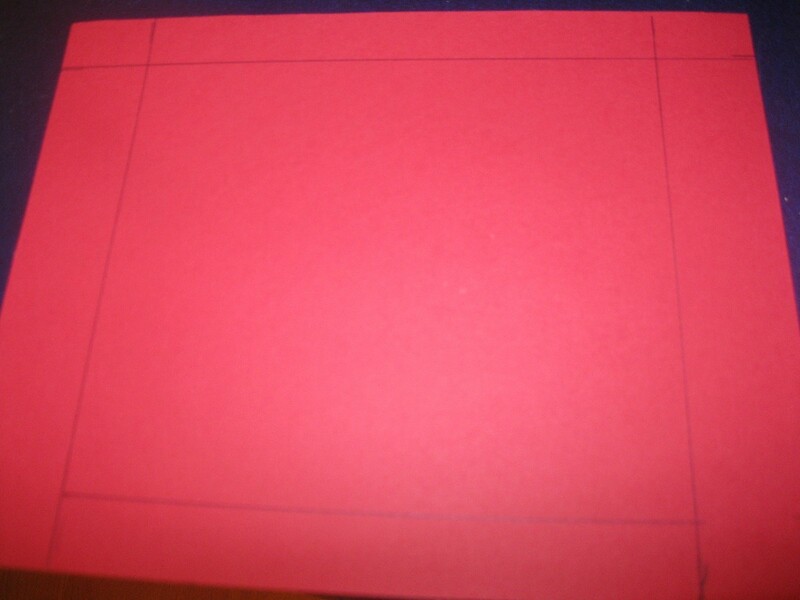 Just mark the edges, and you can draw your lines once the paper is off the cardstock. 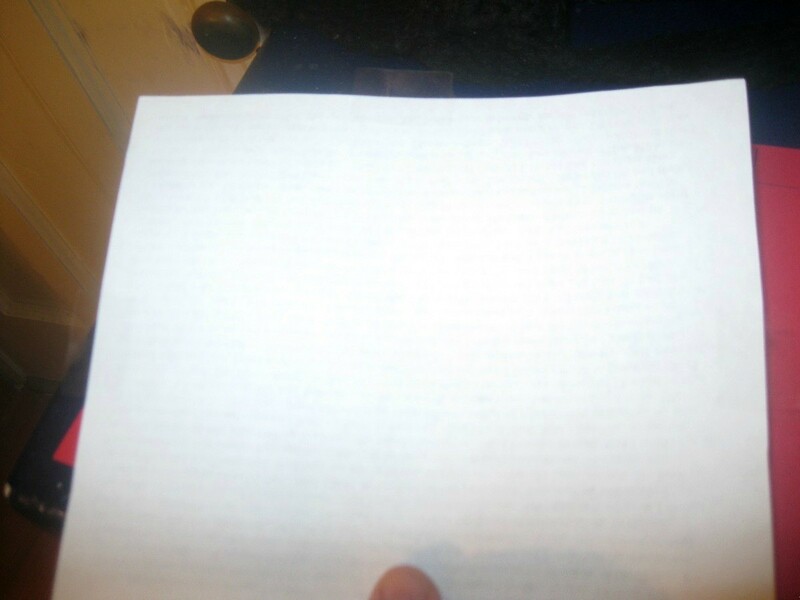 Mark every side of the words, all 4 sides. Remove the lyrics. Use your marks on the side to make 4 lines, which will frame the lyrics. 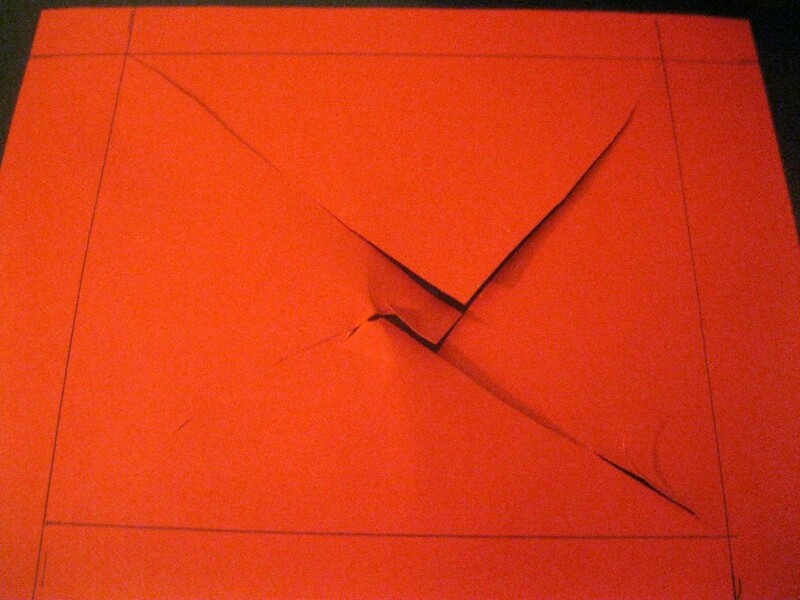 The easiest way to cut the "mat" is to make a cut in the center of the paper. Cut diagonally til you get to the corner. 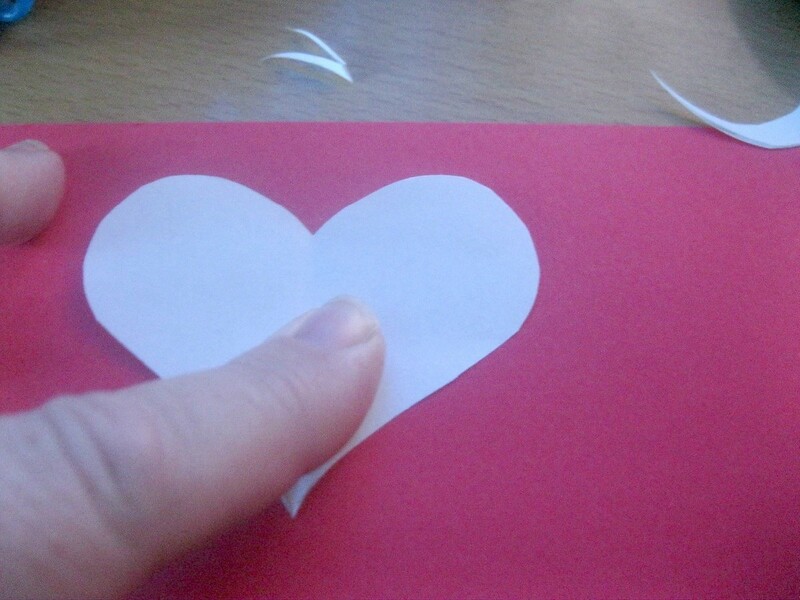 Then, go back to the center and cut to the next corner, til you have all 4 corners cut into. 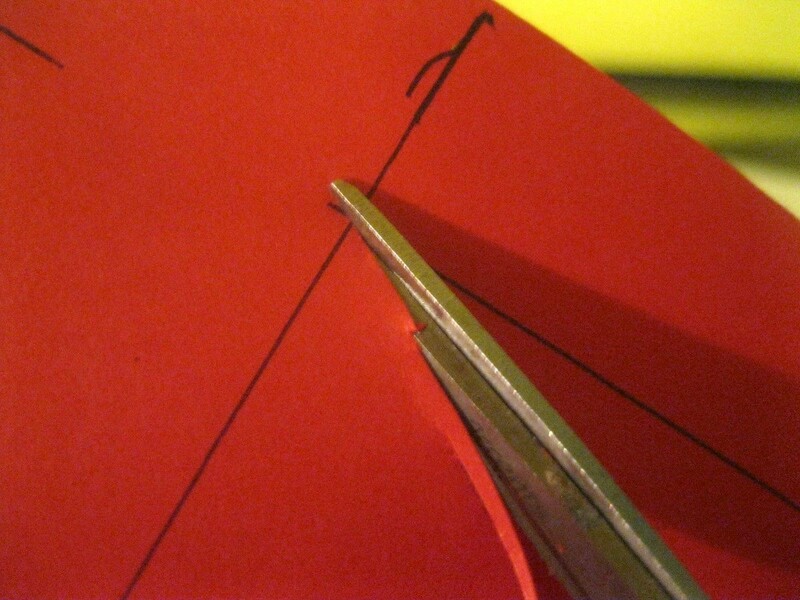 Gently start from one corner and cut straight across (following your marked lines) to the next corner. Cut all 4 sides. (When you place the mat on the white paper, turn it over, so you don't see the lines you drew). 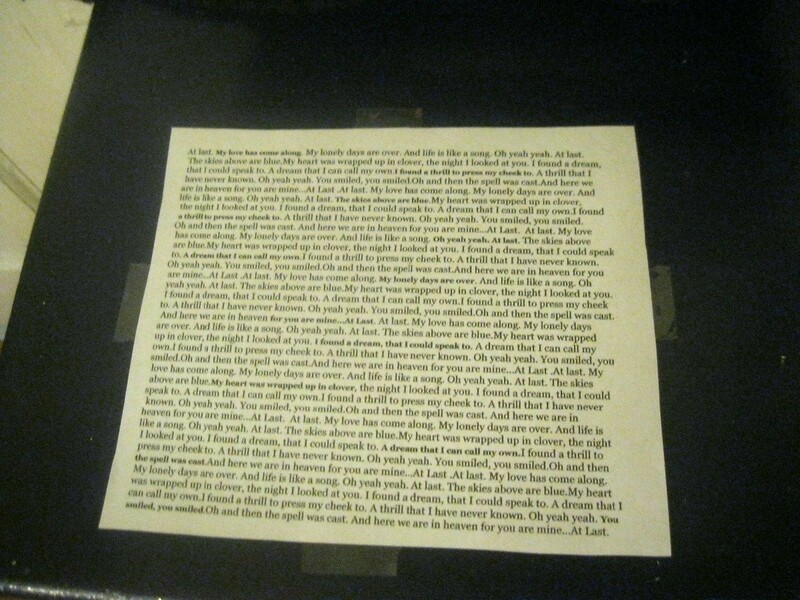 Take your lyrics and put tape on 4 sides of the back. The sticky side will be facing up. 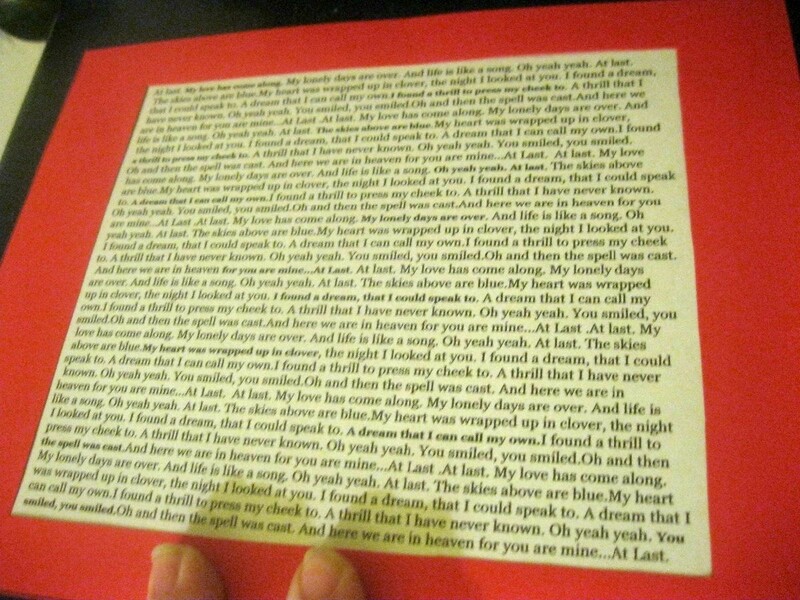 Lay the lyrics face-up and gently lay the mat over the lyrics. Move it around until it is centered. Once you are happy with the placement, press down to make sure the tape sticks to the mat. 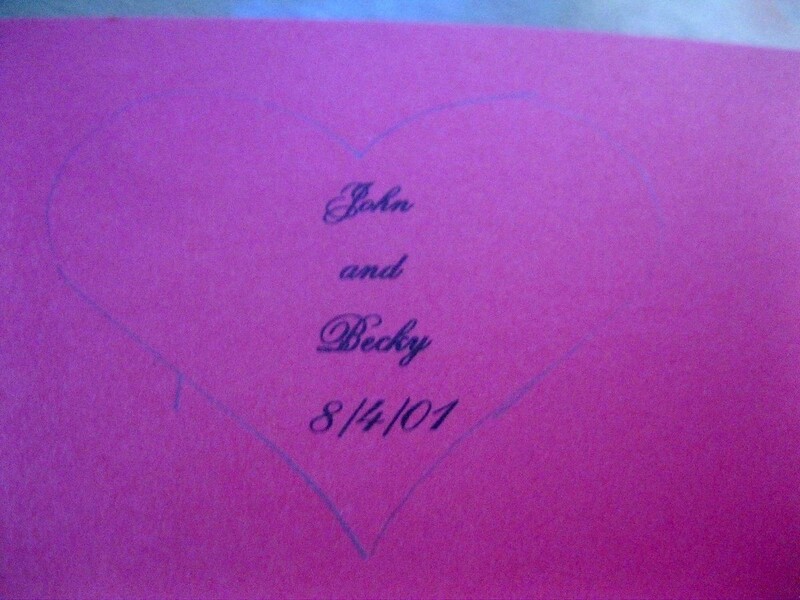 Type or hand write your names and wedding date (or whatever you would like on the picture). Print on cardstock. 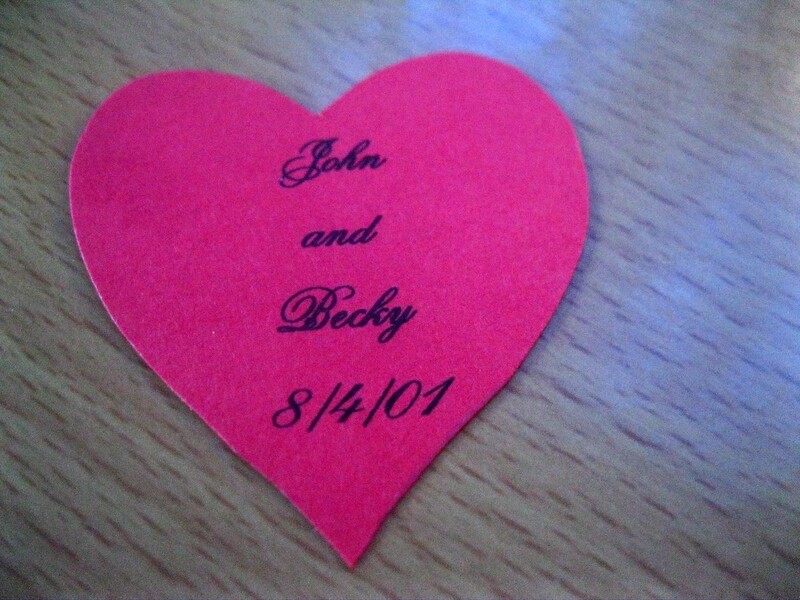 Use a heart template and center over the names. Trace with a pencil. Cut out. Glue onto picture where you would like it. 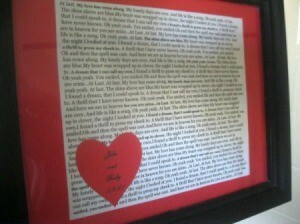 I've also seen crafts where someone put their wedding picture over the printed lyrics. That also looks beautiful! Place in frame. Hang up or give as a gift to someone. This is a very cute idea. 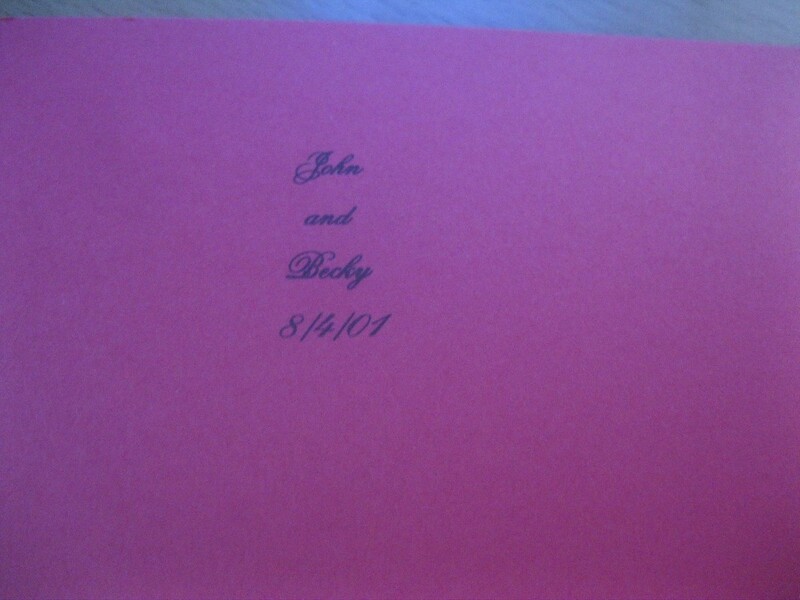 You could set it up with a photo of the bride and groom too.